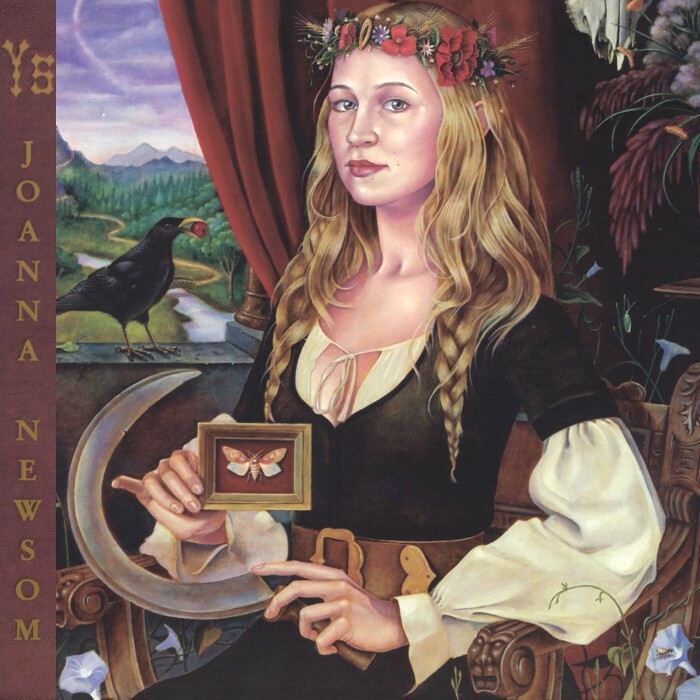 Ys (pronounced /ˈiːs/ eess) is the second album by Joanna Newsom. It was released by Drag City on November 14, 2006 to widespread critical acclaim. The album was named after the city of Ys, which according to myth was built on the coast of Brittany and later swallowed by the ocean. In recent years, the album has been featured on several music publications' lists of the greatest albums of the 2000s (decade) as well as all-time. This is one you really need to give a chance before making up your mind - at least 3 full listens, ideally with a lyric sheet in front of you. Her voice is going to alienate first time listeners, but the lyrics read like classic short stories. And, with the beautiful playing and arrangements, it is utterly amazing. That said, I prefer some of the shorter songs on the debut and some of the more traditional song-based tracks on the two most recent albums. Still though - 5 Stars. I've managed 1:12. @pete Does it get any better? Made it past 1:12 anyway* - sounds like a vocal-fried-to-jaysus Soak. Kinda into it though**, especially the tunes, but the strings (not harp) can go and bugger themselves. The vocals are so insanely irritating (and there's no WAY I'm going to pay attention to those lyrics based on the one or two phrases I properly caught - is she singing about the media in the first track!? HA HA!) but if you treat them like percussion or something they work, a bit. **until track 2 that is: trumpets, I'm out. For now. Its a wonderful album. I'd say its possibly my favorite album of all time. And yes, its a bit difficult, but put in the effort, the rewards are there. Oh god, more Americans writing about Europe.